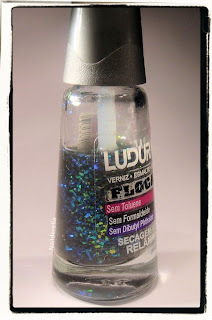 Ludurana Relâmpago : multicolored flakies! 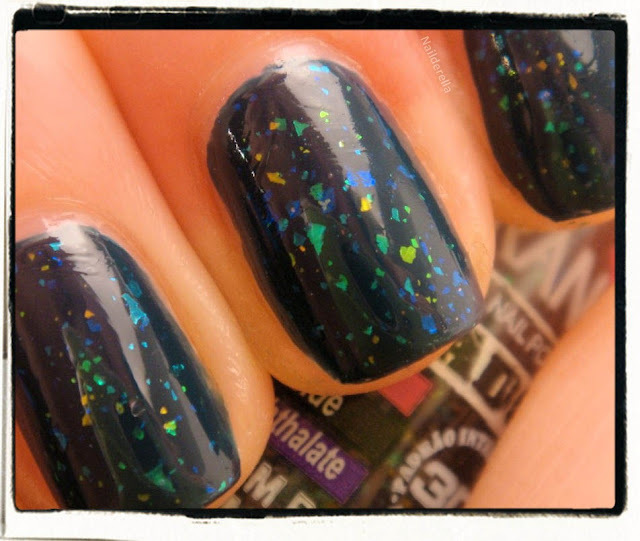 Multicolored flakies are bumping up on the net and are becoming super popular. 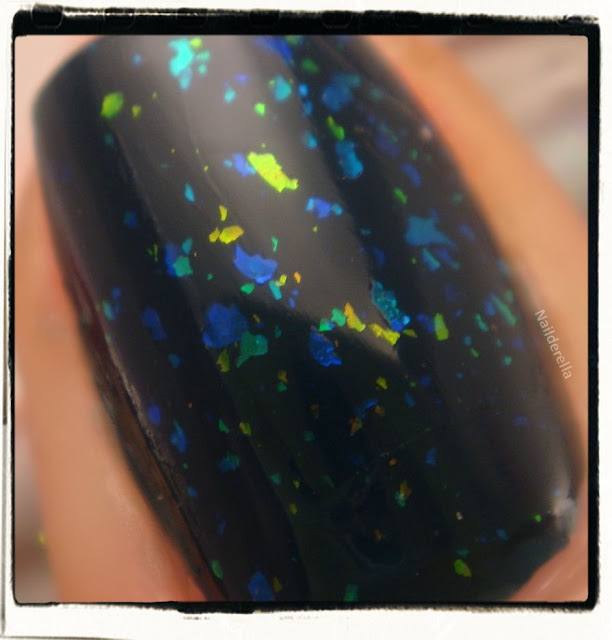 A lot of brands are now making multicolored flakies,e.g. Hits Speciallità with Lambada, Ludurana with Arco-Iris and Relâmpago, Finger Paints, with Asylum and Twisted, piCture pOlish with Festival, and Nubar with Opulent Pearl that I've just seen on Scrangie's blog. So I decided to show you Ludurana - Relâmpago today! 2 coats of Relâmpago (Ludurana) over 2 coats of Ski Teal We Drop (OPI). 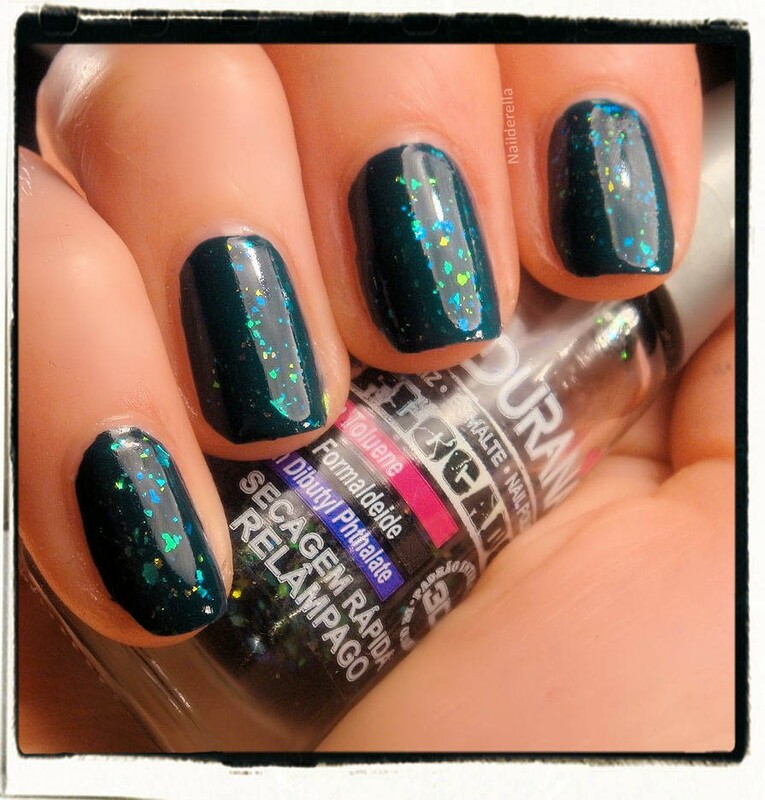 Relâmpago is a charcoal base jelly polish with green, blue, teal, orange, yellow flakies! Ludurana is a Brazilian brand that also carries holo and multichrome polishes. 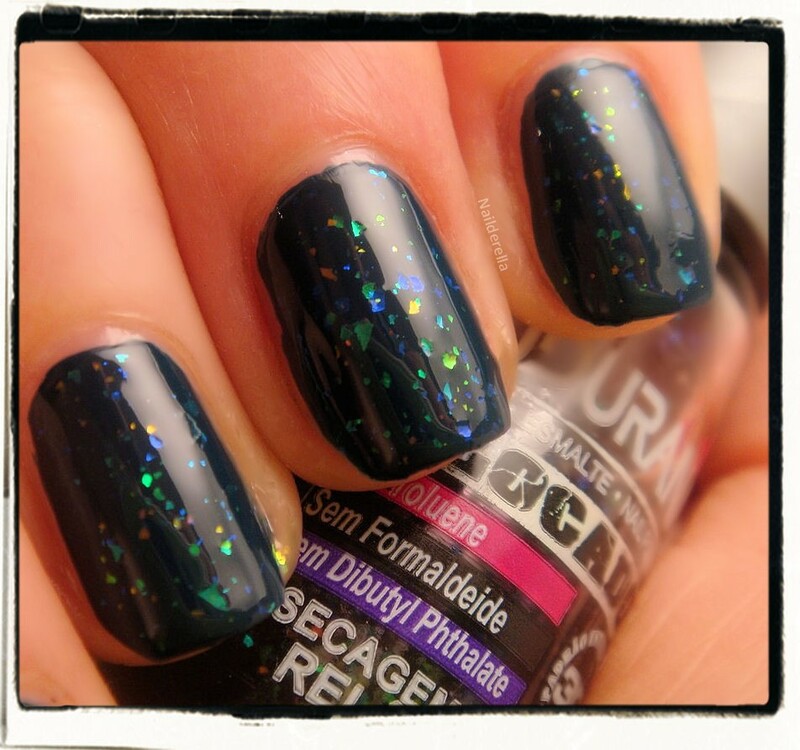 I've already tried 1 holo and 1 multichrome from them and was really impressed by their quality! This is a very nice brand and it's 3 Free! I also painted 2 coats of Relâmpago on a fake nails with no base coat so that you can see the effect of the charcoal base. 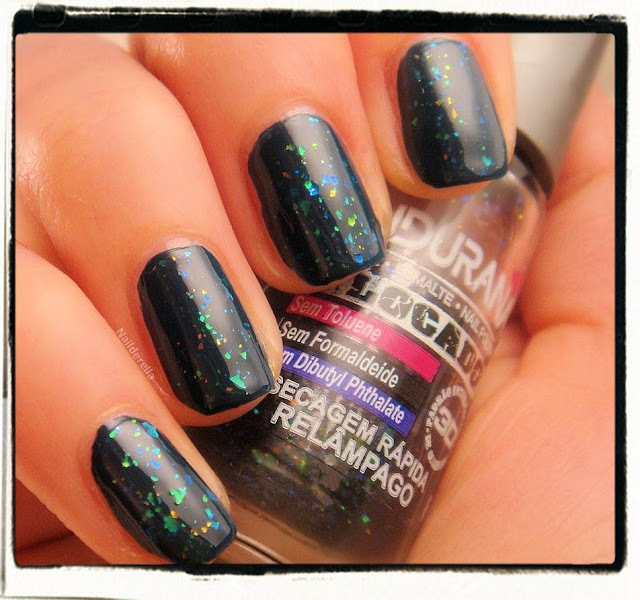 In fact, the pigmentation of the base is very light so that it doesn't change the base color of the polish you layer Relâmpago over (see the pictures below). 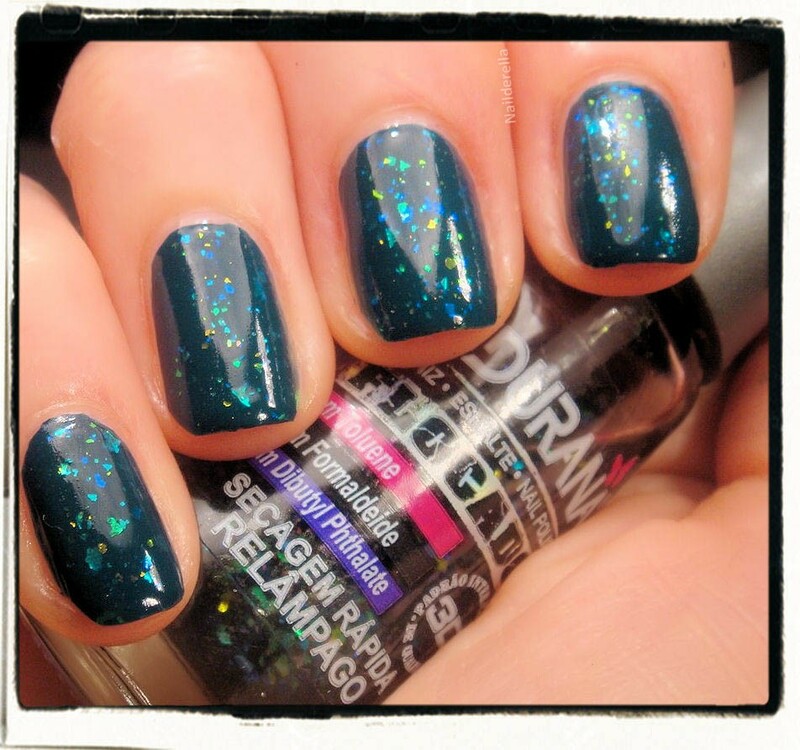 On the left picture, on the left nail, 2 coats of Relâmpago over a fake nail without any base color. The right nail is just the fake nail without anything. You can see the very light tint that Relâmpago gives to the base color. Click on the picture to enlarge it. 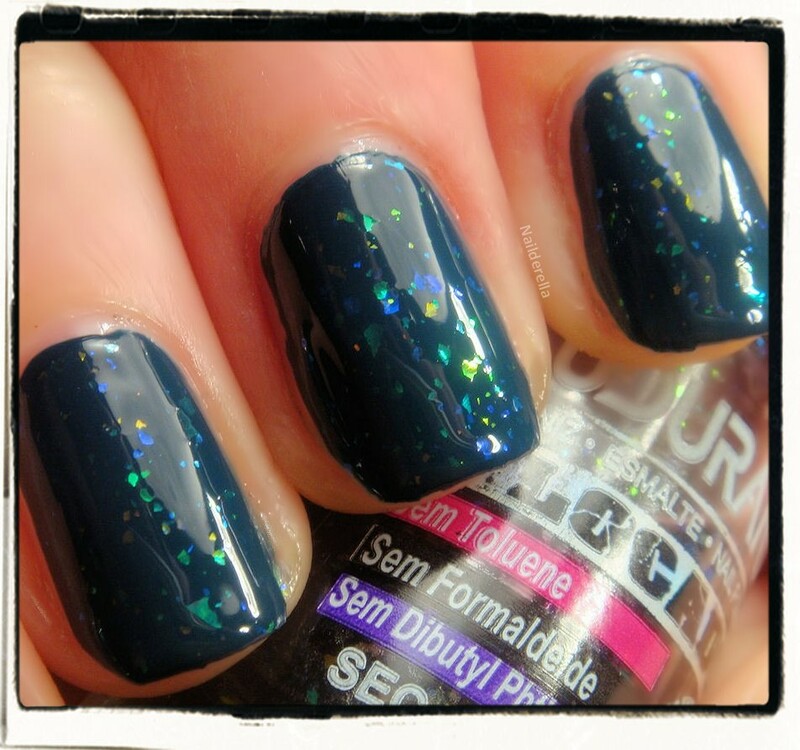 And here is Ski Teal We Drop (OPI) on its own (2 coats).